Refitted and rebuilt, the new GE62 Apache is a powerful and portable weapon in the hands of any gamer. A cutting-edge design, *46% improved battery life with the performance to back it up makes it a formidable machine and a force to be reckoned with. Processor power design improvements across CPU, graphics, I/O, and power management, plus the increased power efficiency of Intel's 14nm manufacturing process, combine to offer users up to 1.5 hours of additional battery life vs 4th gen Intel® Core™ processors. 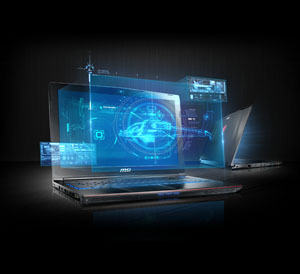 The NVIDIA GeForce GTX 970M Series brings extreme, next-generation graphics performance to serious gaming notebooks. Reaching performance levels higher than last generations high-end GTX 880M , the GeForce GTX 970M delivers desktop gaming performance in a ultra-portable design. Gain the unfair advantage day or night with a fully illuminated keyboard, tactile fast action keys, a strategic layout and powerful customization capabilities. 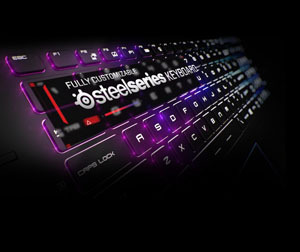 Modify the color, macro every key and enhance the way you play with the powerful SteelSeries Engine 3 app. Do everything, all at once with MSI's Matrix Display technology, supporting multiple external displays so you can multi-task like a pro via HDMI and mini-Display Ports. Stream on Twitch or watch your favorite shows while playing your games, whatever it is you do, you'll never miss another moment. 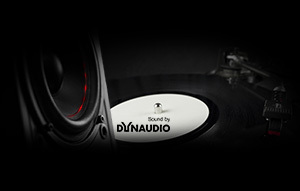 Fill the room and feel the bass with Dynaudio high fidelity speakers, acoustically tuned to perfection to deliver unheard of quality fit for any audiophile. 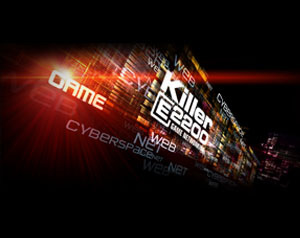 The benefit of the Killer Gaming LAN is the "Advanced Game Detect™" technology, which recognizes online game data packs and processes them first, accelerating them in the process. The best weapon against stuttering characters, freeze-ups, and lagging, it vastly improves all the online gaming experience. 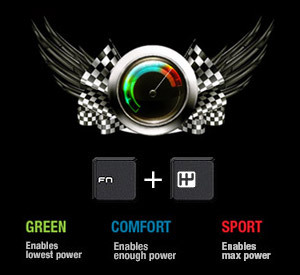 MSI's SHIFT technology gives you total control over the system's power management. Switch between 3 models: Sport, Comfort and Green to find the perfect balance between system performance and temperature. XSplit Gamecaster lets you easily record your gaming moments and broadcast your live gameplay sessions to Twitch, YouTube, UStream and more. It's simple, easy to use and ideal for sharing your gameplay with the world. So what are you waiting for? Join the revolution and start streaming and recording with XSplit Gamecaster today. Pros: For what I wanted it to do is play games without worrying about performance issues is my greatest pros. Cons: Heats up, some slow downs. 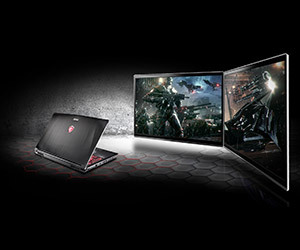 - can play most of the 2014 - 2015 games at very high settings. Can play at ultra settings too though fairly smooth (I could only test AC unity on Ultra). Cons: - Some bloatware can slow the load time. They are not entirely unnecessary though. I did disable all of them at startup. - This is not necessarily a con but just thought I'll mention it. Battery is not great. It lasts about 1 or 2 hours. Pros: Almost everything with this laptop is absolutely top-notch. The build of the actual laptop itself feels and looks great. The keys on the keyboard feel especially great. As for the speed of the laptop - you can't get much better. The 970m paired with the i7 5700HQ deliver exactly what you'd expect. I benchmarked GTA V with most settings on Very High and some on Ultra and the FPS never went below 45 FPS, keeping it around 50-60 most of the time. All the other games I've tried have been a steady 60+ without a hiccup. The SSD is fast as well. I haven't benchmarked it, but compared to my desktop's SSD it boots up in about the same amount of time. Cons: The touchpad leaves a lot to be desired. It works - but not much else. I use a mouse 99% of the time, so it doesn't really effect me. However, compared to a Macbook touchpad it's not nearly as responsive. If you're someone who relies heavily on a touchpad you'll probably be disappointed. Along with that, I tried upgrading to Windows 10 but the trackpad driver kept failing and it would cause two-tap clicking and other gestures to stop working. I tried a few different drivers and configuration, but it would always act up again within a few minutes. I reverted back to Windows 8.1 and it works fine again. Other Thoughts: Although the trackpad leaves a lot to be desired, this is hands-down the best laptop I've used. It's sure to last me for the next few years. Pros: Speed, this thing is fast, especially for the price. You really cant beat it. The screen has nice preset options that you can choose from that are pretty nice. The keyboard as always with MSI looks great, the feel could be a little better though as the keys are a little sticky when being pressed and sometimes don't react. The super fans keep it pretty cool. Actually left/right click instead of the "sleek" trackpad look that hardly works most of the time. Very slim design, i was expecting a wide heavy body and for the power this packs, it's quite a bit smaller than I thought it would be. Cons: MAJOR con is the OS that is shipped with the laptop. I love windows 8.1, but man MSI really loaded this thing up with bloat. I recommend instantly doing a fresh 8.1 install and getting only the drivers you need. Mine fresh out of the box wouldn't load applications and would often freeze up due to the bloat that was included. Again, I cannot stress enough, do a fresh install of Windows. You won't regret it. Secondly, the fans can get loud even under idle work. As I type the my left fan is spinning around 5000rpm, simply with Chrome open and no other programs running. Seems like the fans really wait until things heat up to even start working, then they're extremely loud for about 1 minute. Other Thoughts: Overall, the laptop is awesome as I expected. The hardware is spot on for mobile gaming, I wish it would have shipped with the 6GB 970m, but the 3GB will do for what I do on the road. Again, and I cannot stress this enough, just do yourself a favor if you buy this, wipe the OS and do a clean install. Pros: Steel Series Keyboard is fantastic. Lighting is highly customizable. Overall layout of the keyboard is very nice. Very powerful laptop. Ran Hitman: Absolution on max graphics very well. I have no complaints against the track pad, which I use minimally. I favor a mouse. The aluminum case does look far better than traditional laptop materials. Charger brick stays very cool. It weighs a lot less than I anticipated. Cons: Bloatware. Came with a lot of software I didn't need. Gets warm beneath the left hand when running very intense programs. Fan is noticeably loud when running high demand programs. Poor battery life (but then again it is a mobile desktop replacement, not a Macbook Air you plan on only using Word on). Fingerprints show easily on the aluminum. Driver requires attention to get programs to work. Speakers are meh, I plan on using a headset at all times. 970m seems to have issues with chrome and switching between applications. I did have issues with Hitman:Absolution crashing to the desktop, and Youtube crashing Chrome. Also, buy a cooling pad to save yourself the grief of the laptop making your hands sweat. Overall it is important to keep in mind that there is no such thing as the perfect laptop. I am very happy with my purchase and I highly recommend this laptop. This is probably the main reason you're looking at this laptop. Brand new Broadwell CPU, enough ram for about anything, and a GTX970M, along with the combo SSD + 1TB HDD. Not to be overlooked. As the RAM is maxed out and the CPU isn't going anywhere, the fact that you can put in not one but TWO more hard drives adds some real longevity to this unit, especially if you're gaming and want to throw in a 512 or 1 TB SSD for your game installs. Not sure what this actually amounts to because I didn't buy this as a real mobile, on-the-fly type of machine. But when unplugged, it usually has around 4 hours left, but when streaming videos online it's chewed through this time pretty fast, to the point where I've estimated actually close to 3 hours. Pretty terrible for a laptop with Broadwell in it, and was expecting much more. 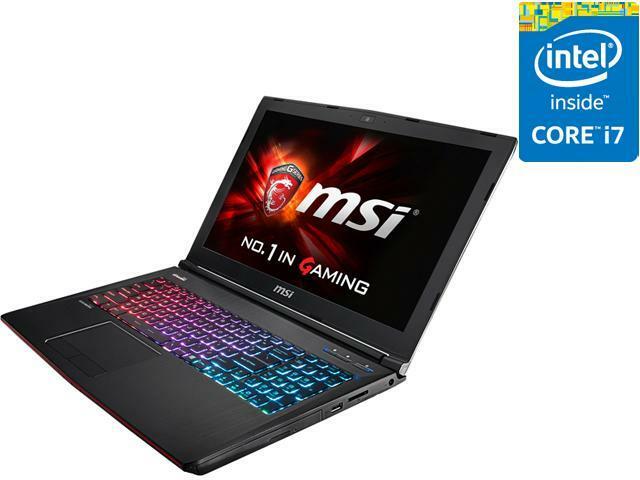 Other Thoughts: The heat was mentioned in a previous review and as of this writing, this laptop model is very new and there are two reviews up already. Regarding the heat, YES it does get very hot while gaming - IF you leave the fans at default. By default, the system will let itself get TOASTY before kicking the fans up. 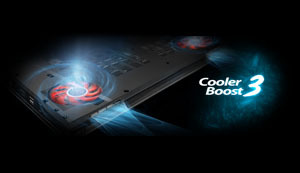 However, there's a nifty button on the laptop which kicks the fans into Turbo mode. 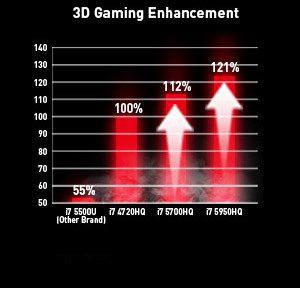 In Turbo mode, the fans run up to 5800 RPMs, measured by MSI's software. At this speed, it's loud, but runs relatively cool. While gaming, GPU has hovers between 56 and 60 C and the CPU between 66 and 73 C. Sounds hot, but for years Intel's CPUs have run hot and tolerated the heat quite well. 80's is a walk in the park, 90+ C is more worrisome; 100 C is where real problems start. Keyboard feels great and the screen looks good. The screen has a bit more flex to it than I'd like but should not be an issue. Probably sacrificed some robustness to achieve its 5.3 pounds. This coupled with battery life is another strike against using this as a real on-the-go machine. For mobile gaming however, great. 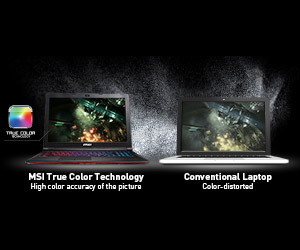 Bottom line: laptop that can GAME seriously. 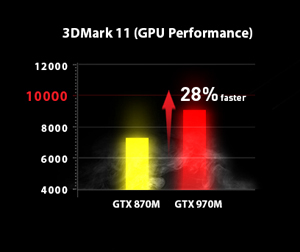 Turn the fans on to turbo and enjoy maxed out graphics. 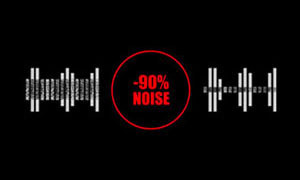 Keep your headphones on tight and ignore that your fans are at 5800 RPMs. Pros: A mid-ranged price for a high-end gaming lap top. And it works really well. Ive been playing games days on end at max and its not getting too hot to handle. Cons: The F-keys are a little too close to the number keys, so I sometimes hit the wrong button while I am in the middle of something delicate. Pros: This laptop is almost perfect in some respects, given what you pay for and expect. If you are the type of person who has a lack of space or travels a lot this will work perfectly fine. In fact the whole reason I bought this over a dominator is because I wanted more room in my suitcase when I fly and to be able to carry more things other then one massive laptop and battery pack for a single backpack. FF14 HW Benchmark scores over 7000 for extremely high. Heaven Benchmark on max settings normally has around 30fps, max 60+ min 8. Runs Unreal 4 Benchmark with no issues. Can play Ground Zeros on Max with little to no issues aside from the occasional frame skip during a cut scene. The monitor has a nice matte finish with very beautiful colors right out of the box so no need to adjust. Cons: Sadly, the speaker is crackling, I am not sure, but after a few days the speaker now sounds like it has a ground in it, going in and out, as if wiggling a audio jack in and out of its port. The temp is obnoxiously high, way to high, while playing my games the CPU reaches nearly 95c while the GPU stays nice and cool thanks to the cooler boost and improved architecture of the 970 and 980 series. To give you a good indication of just how hot it can run, the keyboard, track pad, and surface of the laptop heats so much I dont wish to touch it sometimes and instead go to a controller. I'm afraid even with a high end laptop cooler it will still fail to cool. Screen has this weird circular mark in the right hand side, not sure if its, but its very noticeable. Other Thoughts: This laptop needs a better cooling option, perhaps vents on the side to help pull in more air to cool, however I can overlook it to an extent as I have not had a shutdown. I really wished there was a model with the GTX780 6gb given how much that would help with more higher ended newer demanding games. Lets say GTAV for example. But I got this laptop because I travel often, and need the room for clothing, sketchbooks and so forth. It gets the job done.